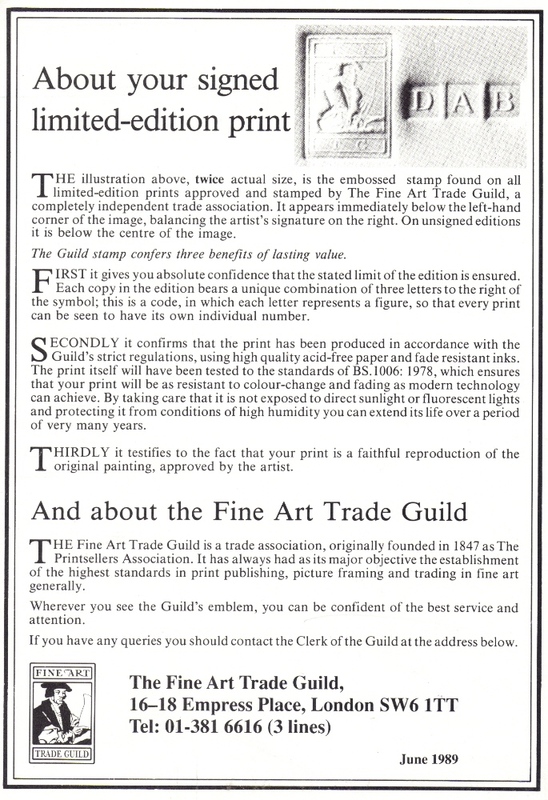 Leaflet explaining the Fine art trade guild stamp on limited edition prints. The Fine Art Trade Guild is an indepenant business created to help and organize the art industry and artists, many years ago. The stamping of signed limited edition prints has long since ceased, but The Fine Art Trade Guild still exist at the same address and work alongsside artists and publishers alike.